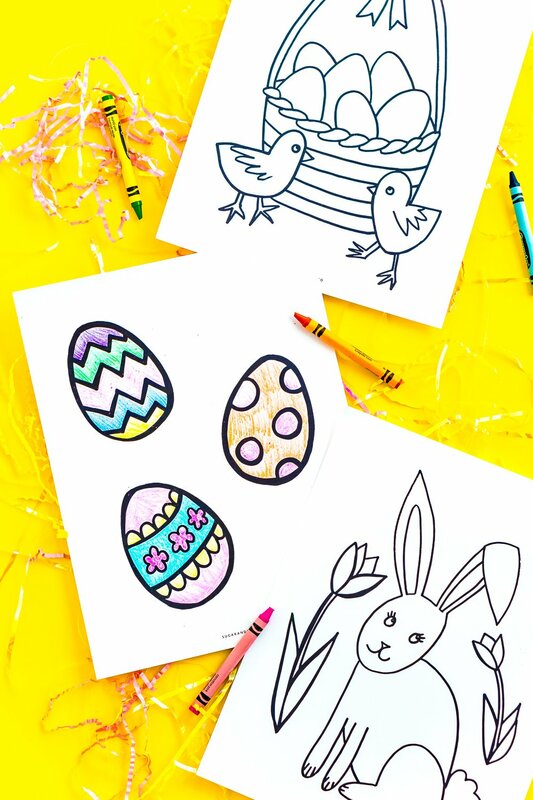 These Easter Coloring Pages are a free printable activity for kids to do and celebrate the spring holiday! Three different Easter coloring sheets with Easter egg, bunny, and basket designs! 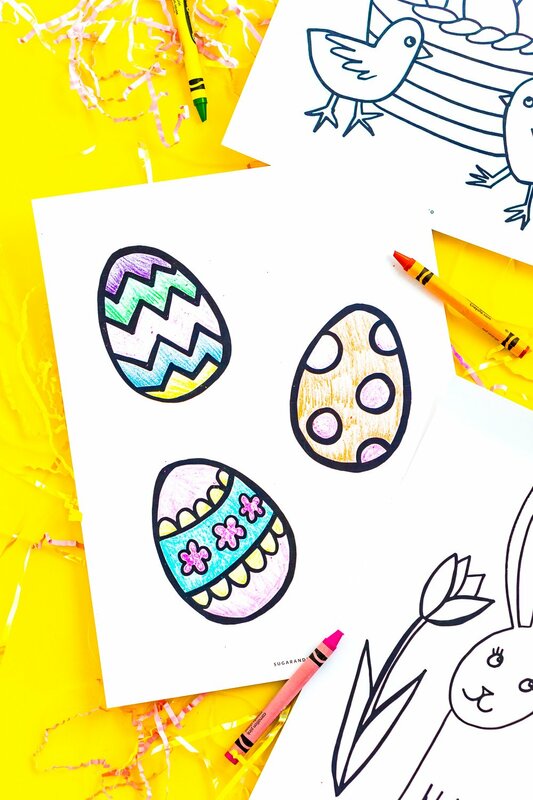 Easter is just a week away and whether your kids are in school or on spring break this week like we are, these Printable Easter Coloring Pages are a fun activity! 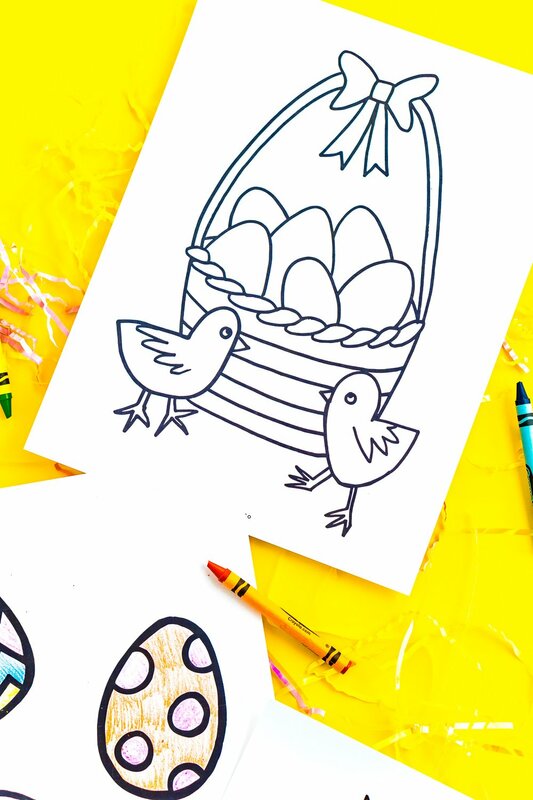 These Easter Coloring Sheets include three cute and whimsical designs that kids will love coloring and decorating! With these sheets, your kids can color Easter eggs, bunnies with flowers, and an Easter basket with chicks! 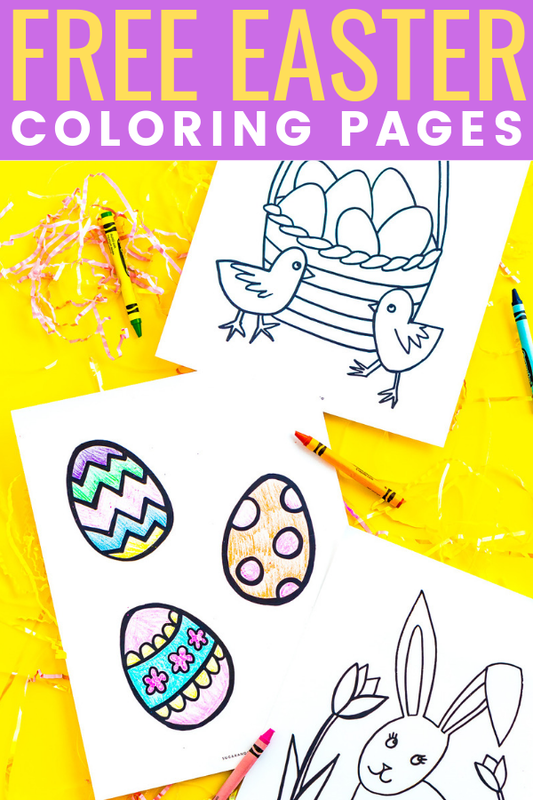 Even though these Free Easter Coloring Pages are really simple and easy to color, they can be a lot more fun when you get creative! 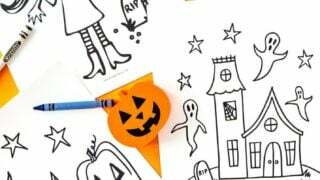 Add thinks like slitter and pipe cleaners to really bring this activity to life! And don’t forget to bake up a batch of these Easter Cake Mix Cookies to enjoy while you’re crafting! 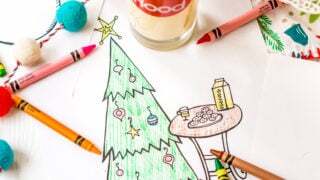 This is such an easy and fun time-filler for kids and even if you’re an adult, coloring can be very therapeutic. You could even stuff these in your kids Easter basket so they have something to keep them busy while you prep Easter Brunch. Might I recommend this Coconut French Toast? 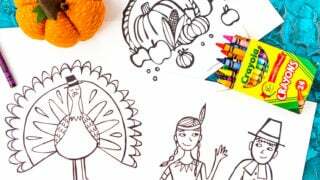 I love these coloring pages because the thick lines make it easier for little kids to color and the designs are adorable and perfect for the spring season! All you have to do is submit your email at the bottom of this post and download and print the Easter coloring pages! 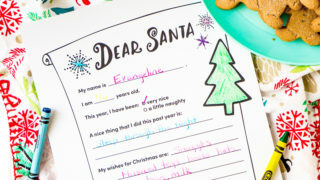 I have more holiday-inspired coloring pages that you can check out below! Click the button above to print your free coloring pages!